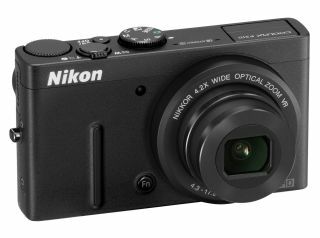 Nikon has revealed a new Coolpix P310 to sit in its compact camera line-up, featuring an f/1.8 lens and full manual control. On board the camera is a 16 million pixel CMOS sensor and a 4.2x optical zoom Nikkor lens with advanced lens shift vibration reduction. Four manual exposure modes are available, including Programmed Auto (P), Shutter priority (S), Aperture Priority (A) and Manual (M). The P310 also features a new 99-point smart autofocus system, while a customisable button allows you to save commonly used settings. Full HD video recording at 1080p is available with the option to shoot in slow or fast motion with speeds up to 120fps. On the back of the screen is a 3 inch 921k dot LCD screen which comes with an anti-reflective coating, especially designed to work in bright sunlight. High speed continuous shooting can be achieved up to 6fps, while other features include Easy Panorama mode, Auto HDR mode and 3D shooting. The camera comes bundled with Nikon's View NX2 software package for importing, browsing and editing images and videos. The Nikon P310 UK price will be around £299.99 and will be available from March in either black or white.